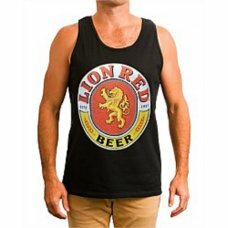 Lion Red is a New Zealand lager-style beer brewed by Lion Breweries, part of the Lion Nathan group. 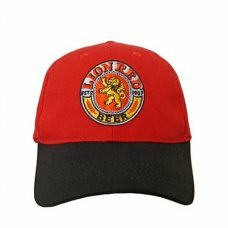 The beer is 4.0% alcohol. 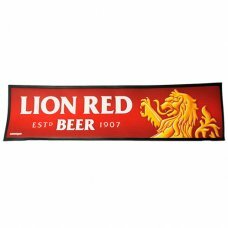 Because of its relatively low alcohol content it is widely regarded as an excellent 'session' beer, that is, a beer that can be consumed freely over a long session of time without all the adverse effects of a higher alcohol volume beer. 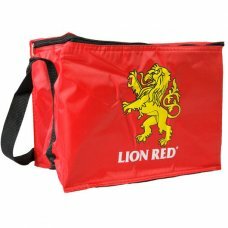 According to the date on cans of Lion Red, the beer was first "established" (and thus presumably first brewed) in 1907. 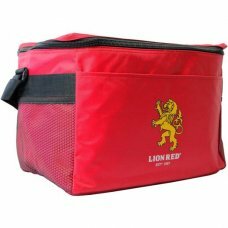 The name Lion Red was first adopted by the public to describe the red coloured label and can. 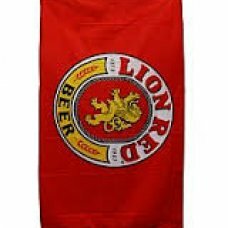 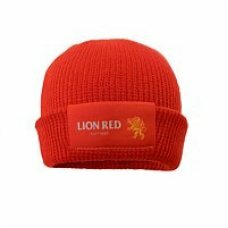 Lion Breweries responded by changing the official name from Lion Beer to Lion Red in the mid 1980s. 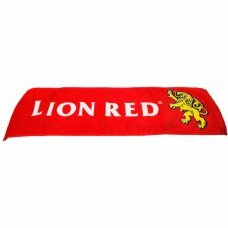 Hugely popular item .A great gift, almost a terms of endearment for a true lover of the Red..
Velour towelling bar mat, approx 84 x 24cm..
Its not a great summer unless there is decent singlet tan involved.This Lion Red cotton option will ..